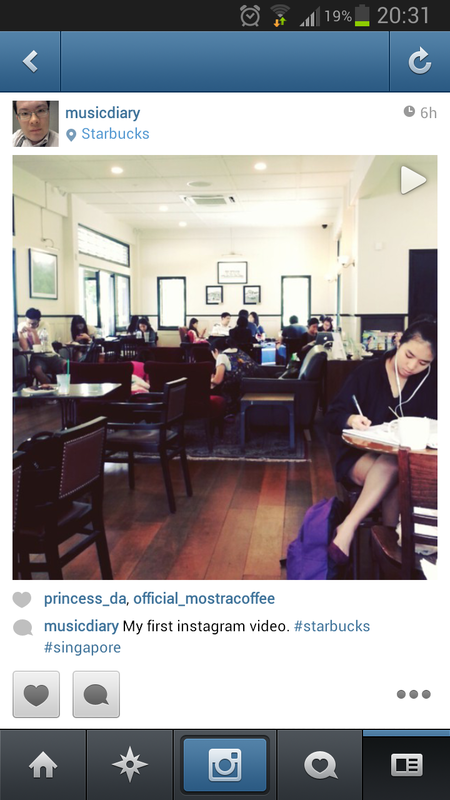 Today, I uploaded my first Instagram video from my Samsung Galaxy S3! Capturing video requires you to press and hold on to the recording button, much like the “press-to-talk” walkie-talkie style. Even if you press “Back” to exit the recording function, your clips are retained next time you return to the recording mode – as long as you do not discard the recording. This means you can potentially accumulate your clips over time before posting on Instagram. It didn’t take long for me to explore how I could save the video file without uploading to Instagram. The sure-work method is to turn off your online connection (i.e. Flight Mode) and then initiate the upload to Instagram. Once the upload fails, delete the warning and the file is preserved in your Instagram folder. I uncovered another option that doesn’t require you to fake an upload. What you do is to just stop short at the upload step (below image), press the Android “Home” button to leave the app, and then wait for about 2 minutes. The purpose of waiting is for Instagram to process the video completely (this is done in the background without your knowledge). Then, using File Manager, browse to the Instagram video folder, located in the “Movie” folder. You will see your video there. Then, move this video to another folder. Before you do that, just playback the video to make sure it is the full video. If it’s incomplete, wait for a while, and try to replay again. Chances, are, the video would be complete. The advantage of doing this instead of the “Force Failed-Upload” method is that you can actually return to the Instagram video recording mode, re-edit your video by removing and re-recording clips or apply another effect. Then proceed to the final upload step, and return to the Instagram folder. Voila, you get a new video file that you can copy to another folder. Saving photos are less tricky than videos, at least for Android devices. 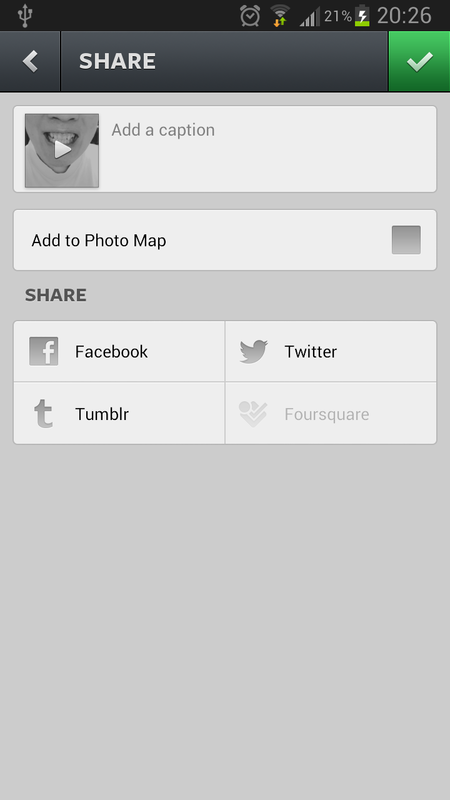 On Android, once you reach the final upload step, the phone would already have saved your photo. You can safely abort the step and your photo would remain in your Instagram folder. For iPhone users, I guess you would have to use the “Force Failed-Upload” method. Update 10 Aug 2013: With the latest Instagram update v4.1.2, you can upload your own video file. Thanks for the solution !!! !